Christmas and the holiday season is a special time of the year in every community. It brings loved ones together to celebrate their faith, exchange gifts, and look forward to what’s to come in the new year. For most, it’s filled with love, joy, and hope. However, if you are mourning the loss of a loved one, the holiday season can be anything but loving, joyous, or hopeful. If this is your first Christmas without a loved one, you may not feel up to celebrating without them. 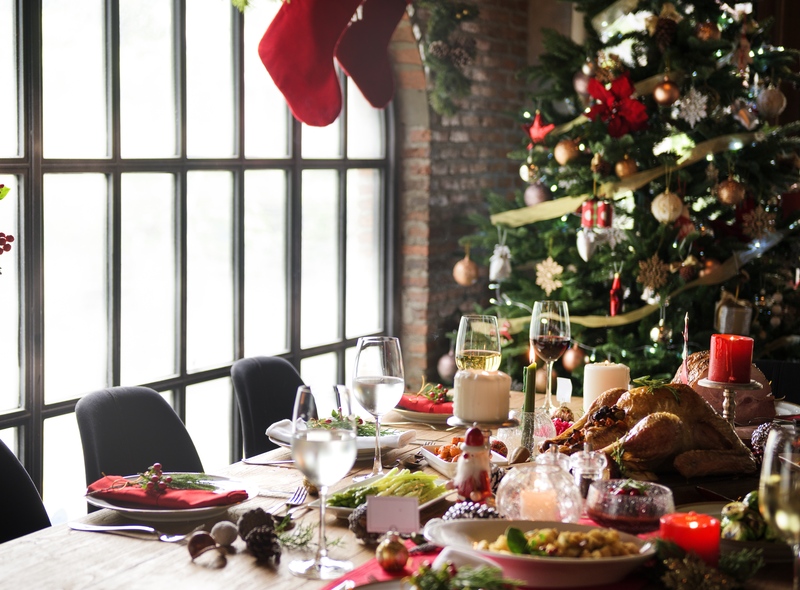 To help you make it through and celebrate this year, here are ten tips make through your first Christmas without a loved one. The best way to make it through Christmas and the holiday season is to develop a plan. You’re most likely going to have friends and family dropping by and asking you to visit during the holidays. For many people who are mourning, anxiety can be most difficult part of the holidays. By having a detailed plan for your days and weeks, you won’t have to worry about stressing how you will spend your days or where you have to go next. During the holidays, friends and family will be sending out invitations to spend time together. It’s completely understandable that you might not feel like going out to a social event while you’re grieving. Even though it may be difficult, try to accept one or two invitations to spend time with others. If someone is inviting you to spend time with them, it’s because they want you to be a part of their holiday. If you don’t feel up to attending a party, accept an invitation to go to church, spend Christmas Eve together, or take a walk through the park on January 1st. If you have children who are also grieving during the holidays, make sure to check in with them. Just like you, your children might not be thrilled about celebrating the holidays. Reduce the anxiety by having a conversation with them about what they would like to do. Together you can brainstorm different ways you can spend the holiday together as a family making sure that everyone is on board. Did you and your loved one have a tradition of always exchanging special gifts with each other? Keep this tradition alive by donating to a local gift drive. Purchase a gift for your loved one and donate it in memory of them. Not only will you be doing your part to help those in need, you can also continue a tradition you and your loved one shared. If this is your first holiday without your loved one, friends and family are likely to offer help. Many people will often tell you things like “if there’s anything that you need, just let me know”. This year, take someone up on their offer. It doesn’t have to be a big favor. Something as simple as asking for help decorating the tree or driving you to the cemetery to visit your loved one. More times than not, your loved ones would be more than happy to help you in any way that they can. For some people, diving into a creative project is the best escape. This year, unleash your creative energy and take up a craft or skill like pottery or something else that you’ve always wanted to try. Developing a new skill or hobby is not only a great way to escape for a bit. It is also a useful avenue to express your feelings and emotions. Why wait until January 1st to start your New Year’s Resolution. Whether you want to get in shape or try something new, use this time to get a head start. The holidays are usually a time for excess food and alcohol. This year, spend your free time taking care of yourself and trying to focus your energy on bettering yourself by sticking to your New Year’s resolution. Rather than having others try to help you through the holidays, volunteer your time to help others. Volunteering is not only rewarding, it also gets you out and spending time with others. By taking time to volunteer during the holidays, it gets you out of the house and interacting with others. More importantly though, it gets you thinking about other things and something to look forward too. Sometimes, a trip over the holidays is the perfect escape. A holiday vacation gives you the opportunity to relax and get some time away from your everyday life. If you don’t feel up to celebrating the holidays without your loved one, use it as an opportunity to explore and see new places. While it’s important to keep traditions alive, there is also an opportunity to start new ones. Consider the advice we’ve offered throughout this post. Each of these is an opportunity to start a new tradition and have something to look forward to every year. Whether its charity related, an event, a special trip, or something else; consult your loved ones and create something new. This entry was posted in Grief Resources, Industry News on December 14th, 2017 by ObitTree .